This Ceiling Sign Supply For Commercial Business Is a Complete Hardware Kit! 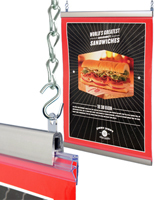 This Sign Supply is the Perfect Display Equipment For High-Ceiling Locations! SignSupplies2Go.com Stocks Variations Too! 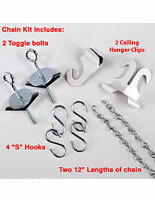 This professional sign supply in bulk is designed for ceiling-based suspensions. It provides you with an array of hardware for various ceiling types. 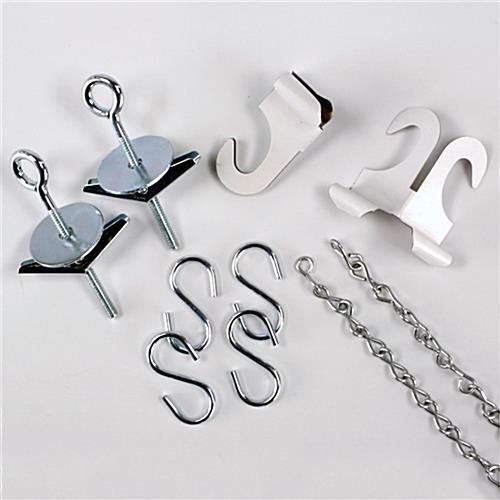 The sign supply kit includes ceiling hanger clips for suspended ceilings. 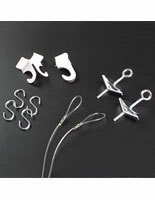 The hardware assortment also has toggle bolts, which work well for hanging displays from sheetrock or plaster and lath ceilings. 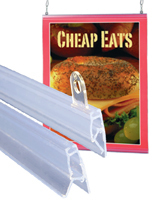 Order this sign supply kit in bulk quantities for a stylish alternative to cheap plastic or heavy metal frames. These poster hanging hardware sets make it easy to install and change ceiling displays, and offer visually interesting marketing effects. The sign supply kits have become increasingly prevalent for their ceiling-based design, which businesses find more eye-catching to customers. Besides, the use of ceiling chains frees up commercial wall and floor space for other posters or advertising. From grocery markets to department stores, this sign supply works well for product advertising and for informing customers of sales promotions and a store's floor layout.